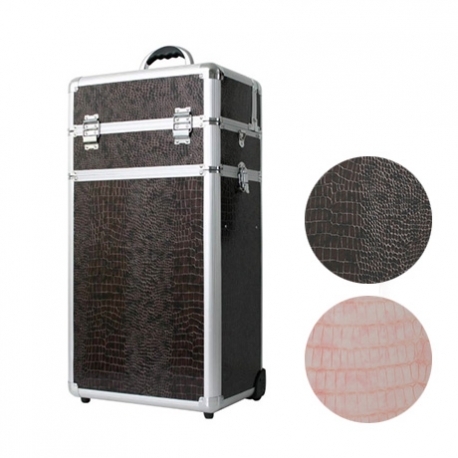 To store and bring everywhere with you all your nail products and tools, use our beautiful trolley in crocodile leather. 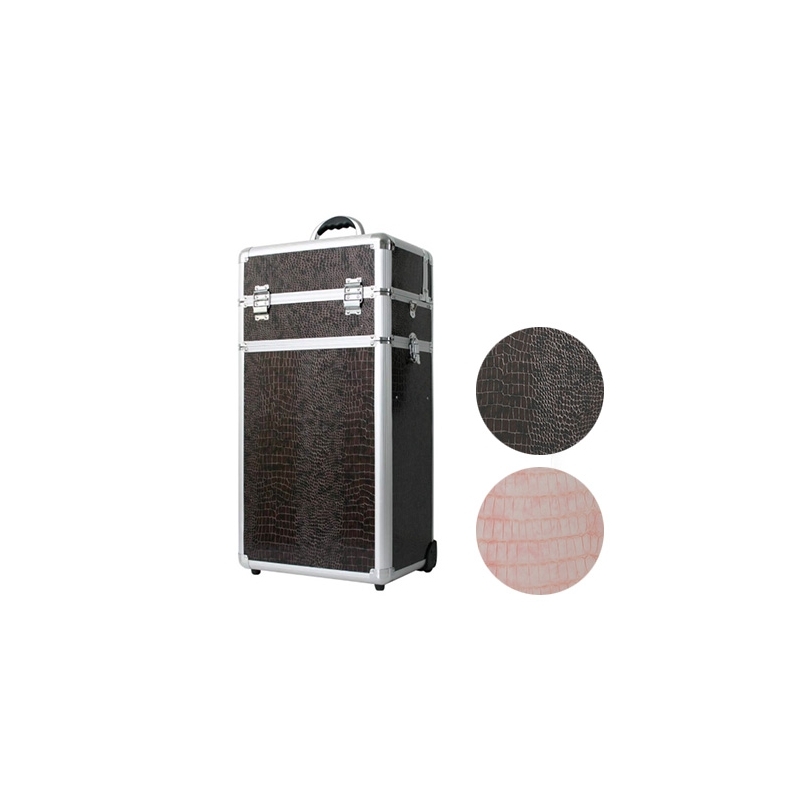 Composition: large storing case with handle and wheel. 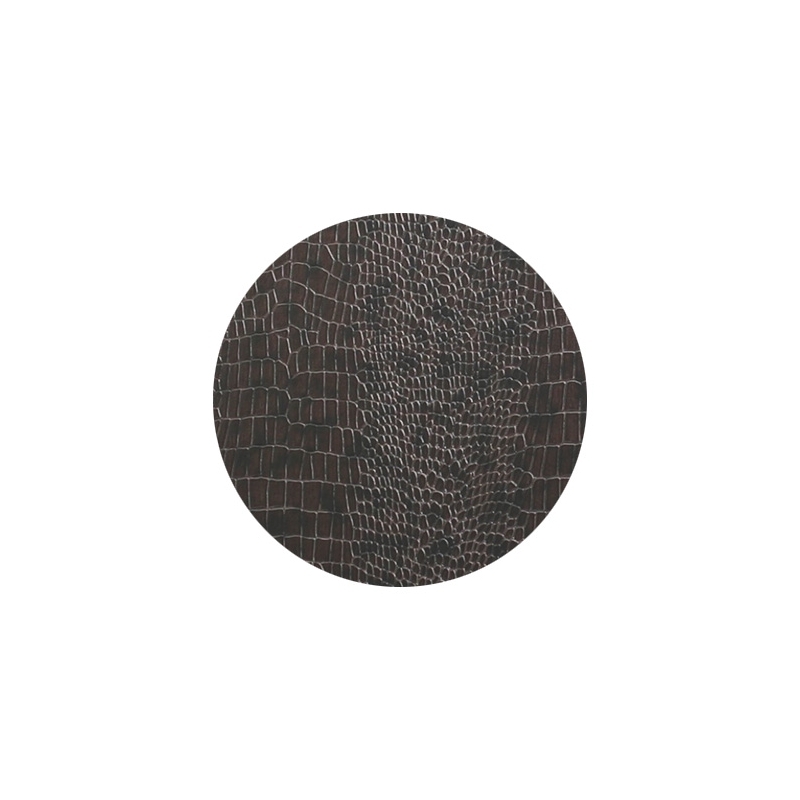 Solid framework in metal and external side in brown or pink crocodile scale patterned leather. 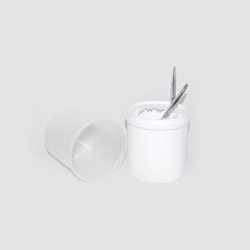 Very handy with its wheels, it's large enough to bring with you all the necessary products and tools for your nail activity when you do home manicures or when you travel for different exhibitions or salons.